Believe it or not, tenants do sometimes forget to pay rent, not because they are being deadbeats, but because they are in a hurry to get away for vacation. Summertime can be difficult on a landlord’s cash flow. Charging a late fee is perhaps the most common fallback when a tenant blows a deadline. However, late fees are regulated, and as result, are capped low. That’s not always a good incentive, and tacking on that little fee can make your best tenants feel alienated. 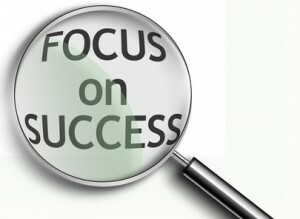 Even though the consequences are serious, it may not be worth losing an otherwise good tenant because of an oversight. Send official-looking invoices about ten days before rent is due. Some landlords prefer to send these bills snail-mail with return envelopes included. However, the advantage of email is that the tenants will see it even if they are out of town. The other advantage: you stay in front of your tenants, and find out if they’ve changed their email. That can signal a change in employment or other pertinent information that warrants updating the rental application. Accept electronic or credit card payments. Auto-withdrawals are a favorite way to ensure rent is on time. If the tenants are away, they can “call in” a payment and stay on schedule. Landlord Tip: Accepting electronic payments is a good thing, just be careful that you don’t make it the only way tenants can pay. Not every tenant has a credit card, computer, or smartphone, and you don’t want to be accused of discrimination against elderly, low-income or minority tenants. Cash is a four-letter word for landlords. While there is the benefit of no bounced checks, cash payments, especially in multifamily properties, increase the risk of theft, employee theft, and compromise the safety of employees. In addition, accepting cash can make a landlord vulnerable to the claim that the tenant already paid rent. That’s a headache if the case goes to eviction or collection. If the cash is stolen once it’s in the possession of the landlord, it may be the landlord’s loss. Rent drop-boxes — like those built into the front door of the leasing office — may be convenient for tenants, but this rent collection method greatly increases the risk of theft. 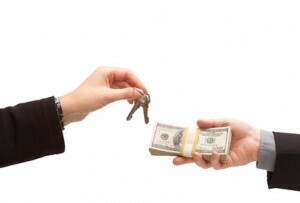 Tenants who want to pay in cash may be making money illegally. If the tenant is busted, those rent payments may be considered proceeds from crime and can be seized. In rare circumstances, the landlord who accepted the funds is considered complicit in the crime. Also, accepting cash is a lost opportunity. When a tenant pays by personal check, it is possible to check for changes to information, like a new bank account or phone number. Deposit the funds as soon as possible. Neighbors are complaining about the tenant’s barking dog, but you can’t get your tenant on the phone. Or, there’s been a fire and the tenant’s unit was flooded by sprinklers. Maybe there’s a package for your tenant in the leasing office and they haven’t stopped by to pick it up. Whatever the reason, it is important that you stay in touch with tenants, not only for day-to-day management, but just in case the tenant drops out of sight. On the rental application, have tenants list multiple ways to reach them. It’s okay to ask which is the preferred method, but make sure you have cellphone, landline if there is one, work phone and email. In addition to contact info, make sure you have two or more emergency contact numbers. If you did your job, you verified this information during tenant screening. Make it a condition of renting that the tenant update contact information if it changes during the term of the lease. Stay in touch routinely, through email invoices, receipts, newsletters, or short messages to make sure your tenants are still around. If tenants understand that you will call them first if there is trouble, like noise or pet complaints, that will serve as incentive to stay in touch. One of the most stressful situations for landlords is greeting the new tenant who is ready to move in — but can’t because the old tenant is still in the unit. Talk about a disaster. In that case, the landlord may be liable to the new tenant for the cost of storage or a hotel while waiting for the old occupant to exit. The only fix to this situation is careful planning. You should know your current tenant’s intentions at least a month before the lease terminates. Then, take an active role in assisting with the move and restoration of the unit. That process should end with a walk-through of the property where the old tenant returns keys and participates in an exit interview. Allow enough time to properly restore the unit once the tenant has exited. That may include re-keying the locks, which is the law in some areas. Touch-ups may take a day or two, so plan accordingly. The last thing you want to do is stress out your new tenant on the very first day.